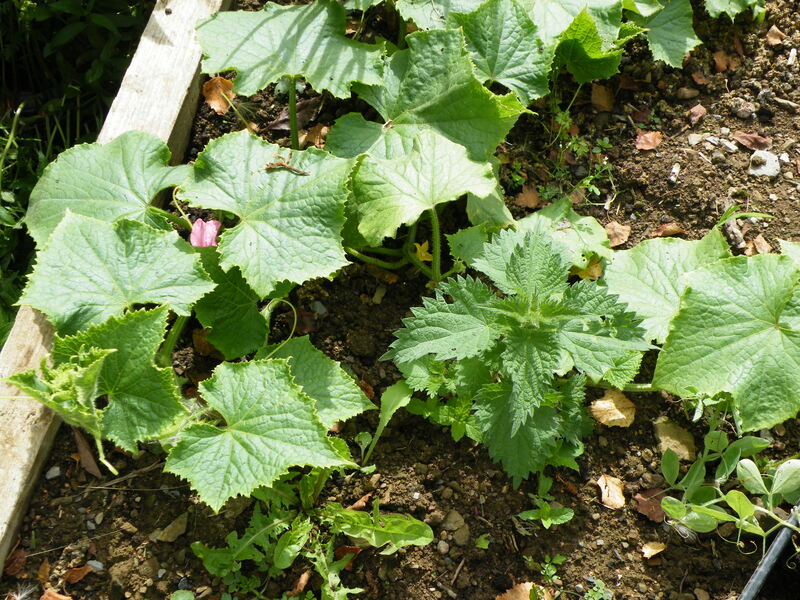 Cucumber plants, a little late in the season, but to my delight little cucumbers are now being produced. Probably taking permaculture a bit too far! 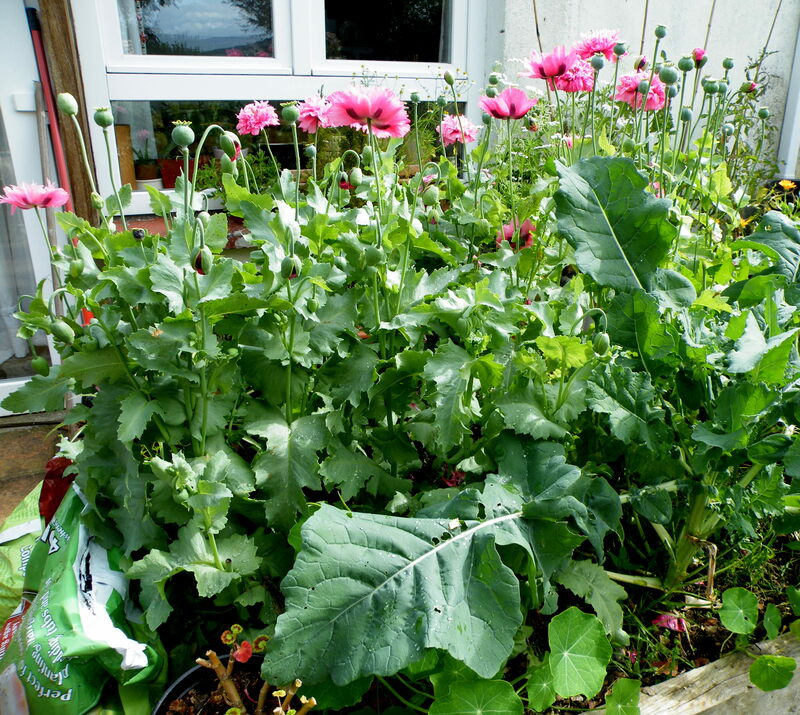 These Poppies come growing in my garden every year, seeding themselves and often taking over some patch meant for vegetables. I let them grow as I love to see the beautiful flowers. It amazes me how strong and healthy these plants are. 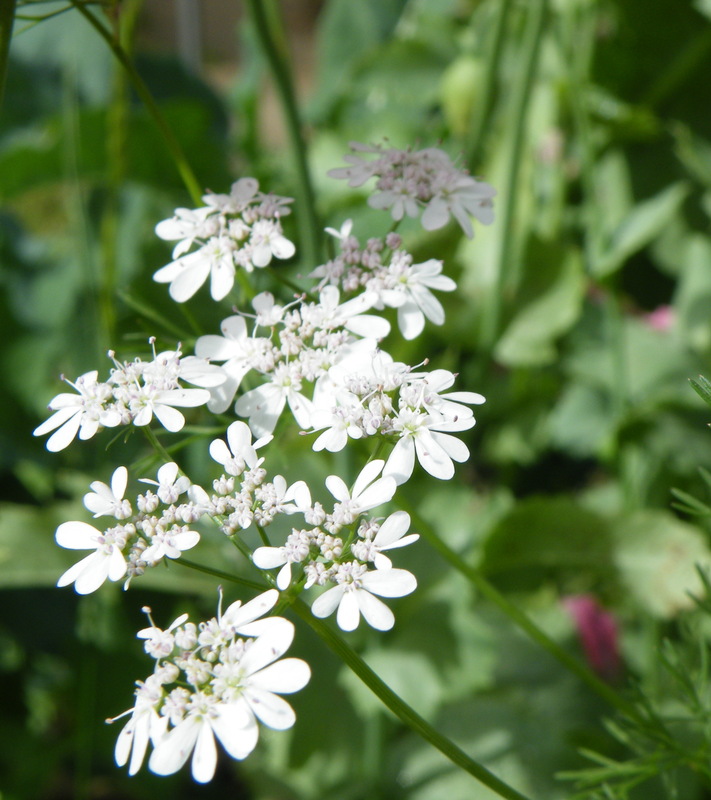 The delicate flowers of the Coriander plant, next year I plan to grow much more Coriander as I love using it in my cooking. One of my grandchildren has become very interested in herbs and their uses, 5year old Alice asked me many questions the other day about the use of Oregano, Bay leaf, and Sage, I am delighted she takes an interest.